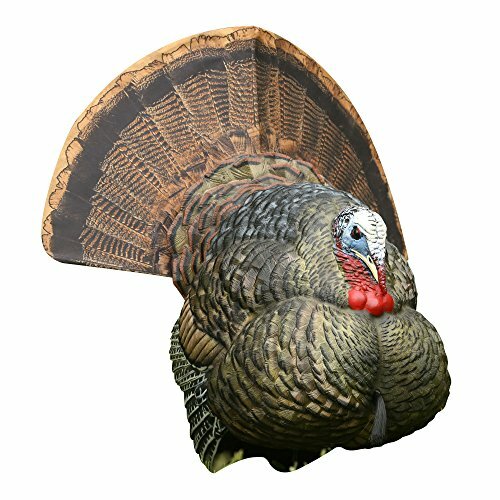 Turkey hunters know that a turkey hunting decoy can effectively entice as many turkeys as you can. During turkey season, you might want to increase your chances of capturing a lot of turkeys when you go hunting. 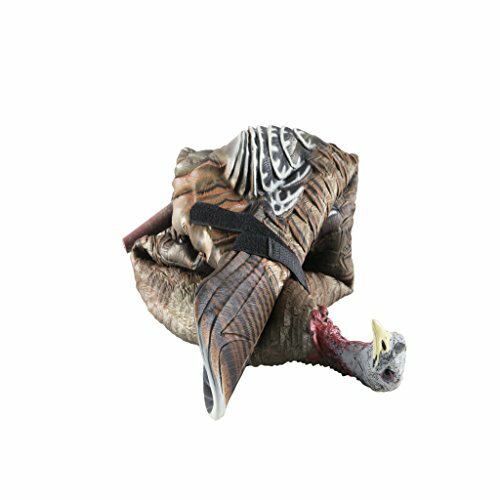 Since there are lots of hunting tool available in the market, it can be hard to choose the right turkey decoy for you. Today, we are going to take a look of the top 7 best turkey decoys. The following are made of top-grade materials from reputable manufacturers. You will be impressed by its incredible realism and of course, budget-friendly prices. Read below to find out the best turkey decoy for you. 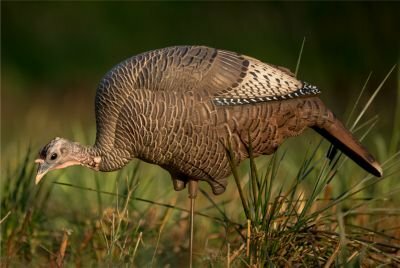 For those who are looking for a lightweight turkey decoy, allow us to introduce the Dave Smith Decoys Feeding Hen Turkey Decoy. It features a relaxed feeding hen to entice turkey towards your direction. Its compact size and quiet operation make it suitable for both novice and pros in turkey hunting. You can easily pack the decoy thanks to its advanced ACE technology construction. It combines the innovative crosslink elastomer material with an efficient casting method. This deco can also withstand even the harshest environment thanks to its excellent paint retention. Its realistic paint and detailed textures reflect an actual turkey feeding quietly. The ACE material will heal by itself when shot, so there’s nothing you need to worry. Allow us to introduce the Avian-X Lifelike Collapsible Decoy that is everything a turkey hunter could ever wish for. It has right body posture that mimics the natural movement of a turkey and impressive detailed feathers. Its revolutionary no-flake paint will make it hard for real birds to distinguish which is fake or not. The LCD is crafted from rugged Dura-Rubber, allowing you to fit it into a vest easily. Rest assured that compared to other foldable decoys, it will not crease or dent. The one-piece collapsible taking ensures ample movement of the bait without any spin. The package includes an olive drab drawstring bag. Check out the Dave Smith Full Strut Jake Turkey Decoy. It’s an excellent challenge for big tom’s dominance as it displays an apprehensive ¾ strut complete with black flocking across the back for a more realistic look. This lightweight decoy offers an incredible self-healing durability to stand up errant pellets and attacks from aggressive gobblers or even if you accidentally shot the lures instead. Its ACE technology makes it an excellent turkey hunting decoy that can last for a long time. The decoy is a combination of advanced crosslink elastomer material that features a unique casting method for a more realistic look. Its ultra-realistic paint and textured detail help in stimulating the reflections of an actual turkey. The decoys are fast and easy to set up. This is far by the most realistic turkey decoys we have found in the market so far. Although it’s not the cheapest product available, rest assured that the Avian-X LCD strutter turkey decoy can entice other turkeys towards your direction. For those who are planning to capture attacking gobblers, this is the perfect product for you. The package includes a one-piece collapsible stake and a carrying bag for excellent portability. This turkey decoy is everything you could ever need for when turkey hunting. If you want to challenge a territorial tom, you should consider this Gobbstopper Turkey Decoy Combo from Primos. It provides a realistic detail for hunters that can drive gobblers like crazy. 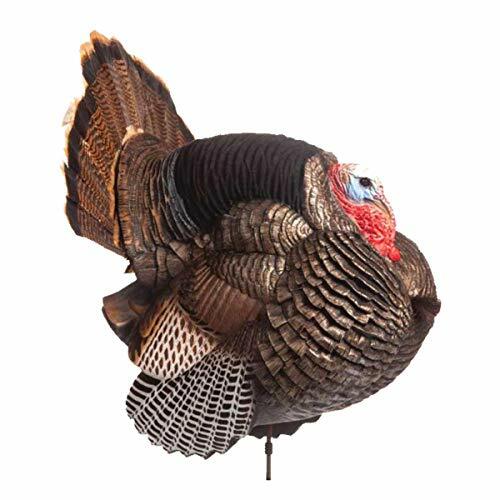 This collapsible decoy is constructed with wild turkeys in mind for a more realistic look. The decoys can offer a submissive, upright, and contented positions. The Gobstopper Jake also features a submissive posture to provoke dominant toms. Its lightweight and collapsible, allowing you to carry it anywhere you want. Two-piece stakes are included for the jake and the hen. 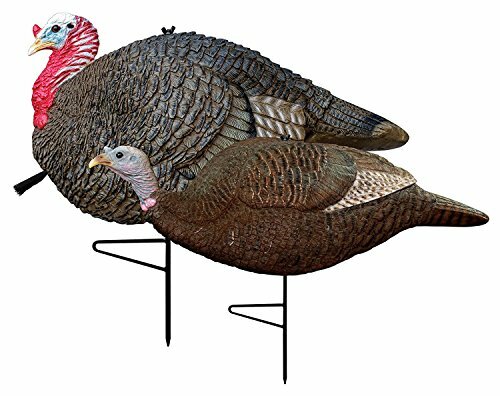 Lastly, we have the Dave Smith Decoys Submissive Hen Turkey Decoy that can lure big toms once they glance at this realistic turkey deco. Its submissive hen will inevitably distract and provoke the gobblers. This decoy is lightweight and easy to pack. Its excellent paint retention, in courtesy of its ACE technology construction, offers a unique casting method. It also features a realistic paint and textured detail that can stimulate the reflection of an actual turkey. Rest assured that this turkey decoy is soft and quiet during transportation. It’s fast and easy to set up. The package includes a carrying bag and a ground stake.